THE World Health Organisation (WHO) says mankind is poised to end the AIDS epidemic by 2030 – provided it can accelerate the pace of progress achieved globally over the past 15 years. That is the cheery news the organisation released yesterday ahead of the World AIDS Day tomorrow December 1, 2015. At the International Conference on AIDS and Sexually Transmitted Infections in Africa (ICASA), the WHO is presenting a set of recommendations to enable countries to expand treatment to all- rapidly and efficiently. These recommendations include using innovative testing strategies to help more people learn they are HIV positive; moving testing and treatment services closer to where people live; starting treatment faster among people who are at advanced stages of HIV infection when they are diagnosed; and reducing the frequency of clinic visits recommended for people who are stable on ART. ICASA is a major international AIDS conference, which takes place in Africa. Its current biennial hosting alternates between Anglophone and Francophone African countries. The 2015 ICASA will be held in Zimbabwe from November 29 to December 4, 2015. Indeed, African governments, people living with HIV, activists, government workers and development partners are gathered in Harare, Zimbabwe, to share knowledge of what works in the collective fight against AIDS. 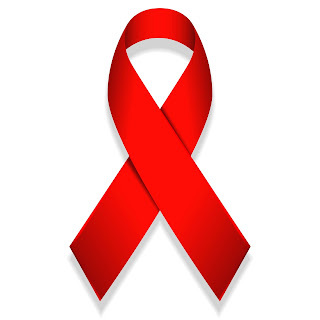 The meeting coincides with the World AIDS Day marked globally tomorrow, December 1. Executive Director of the United Nations Population Fund (UNFPA), Babatunde Osotimehin, who spoke ahead of the World AIDS Day and the African conference starting tomorrow, stressed how HIV/AIDS remains a huge challenge in Africa, especially sub-Saharan Africa, where communities have been ravaged by AIDS. “By 2014, the number of HIV deaths was reduced by 42 per cent – from a peak of more than two million in 2004 to an estimated 1.2 million. “Since 2000, an estimated 7.8 million lives have been saved, fewer people are acquiring HIV, and projections of an end to the epidemic by 2030 – a goal once considered unattainable by many experts – are now realistic. “The rapid scale-up of access to antiretroviral therapy (ART), one of the greatest public health achievements in recent times, has made treatment available to more than 16 million people living with HIV across the globe.